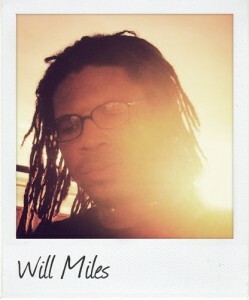 Will Miles is a classically trained producer/DJ from the U.S. He currently resides in Miami, Florida, home of the Winter Music Conference, and holds a residency alongside Stereotype called Stank Love. The diversity in his production style is due to the vast musical influences he’s been exposed to over the years.Miles acquired his love of Drum n’ Bass from his friend Kjell Anderson(who is half of their production duo Style Control) back in 1994. This quickly led Miles into DJing the following year, and into Drum n’ Bass produciton in 1998. He would then sign 10 tracks with Thermal Recordings in 2001. He also joined the production team NUCO and held a residency for three years called Information Technology. In that same period of time he was resident at Europa, in downtown Richmond. In 2004 he released a single on his own imprint Miles A. Head. He then remixed a track called Second Protector by Kjell, that debuted on DJ Bailey’s show on the BBC Radio 1XTRA in the summer of 2005. DJ Fabio debuted his music on Radio 1 the following year, and released a single on his imprint Creative Source. He has releases on many labels including, Pushin’ Wax, Sonorous, Influenza, Innerground, Nemesis, Deep Soul Music, Horizons, Influenza LTD., Point Audio, Westbay Music and Haunted Audio under the alias Dubyah.Miles keeps a steady DJing schedule. Having played all over the U.S. and across the Atlantic, he has hoaned his craft and can move any crowd.